SATURDAY THE 3nd OF August AT PARADISO AMSTERDAM. 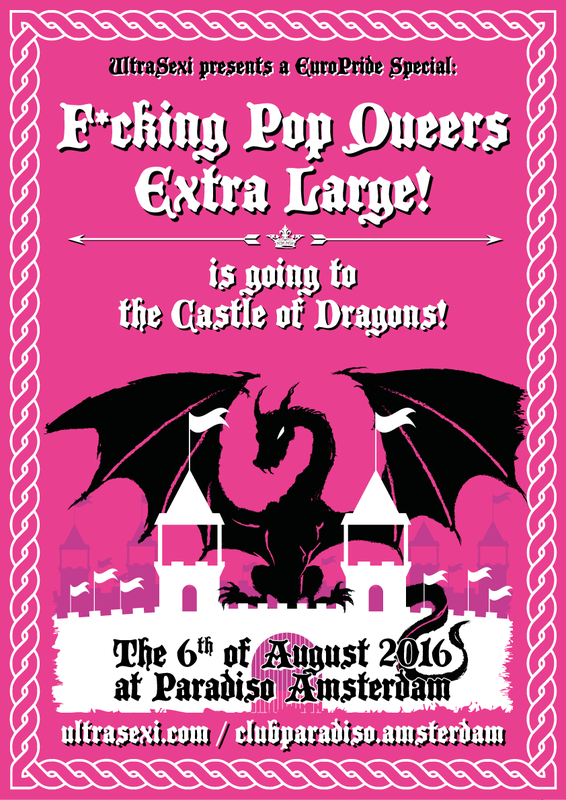 The biggest pride pop party is back! 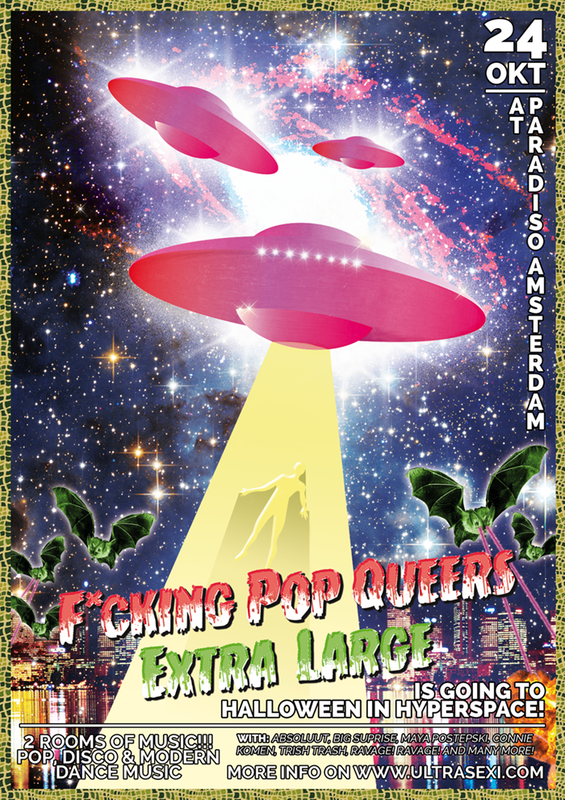 For eleven years in a row the ultrasexi crew will take over the pop temple paradiso. 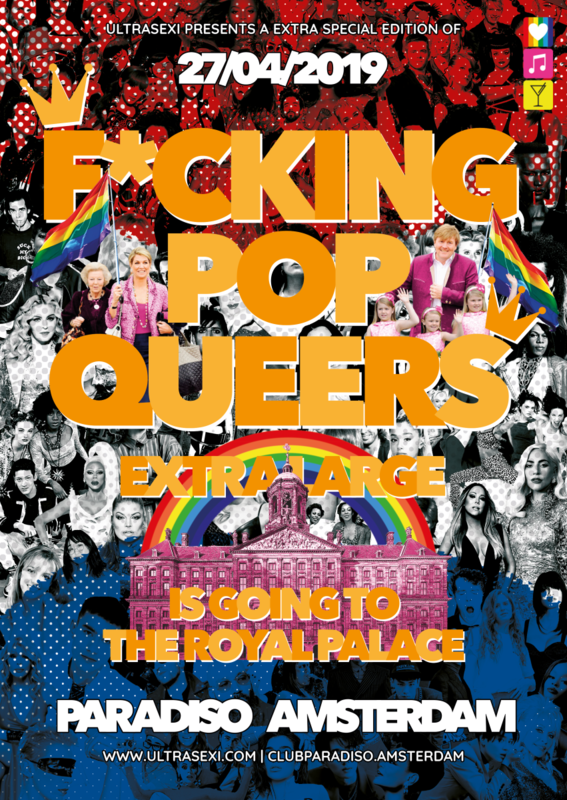 prepare yourself for a night filled with pop music and silly surprises! More information and ticket sale will follow soon. 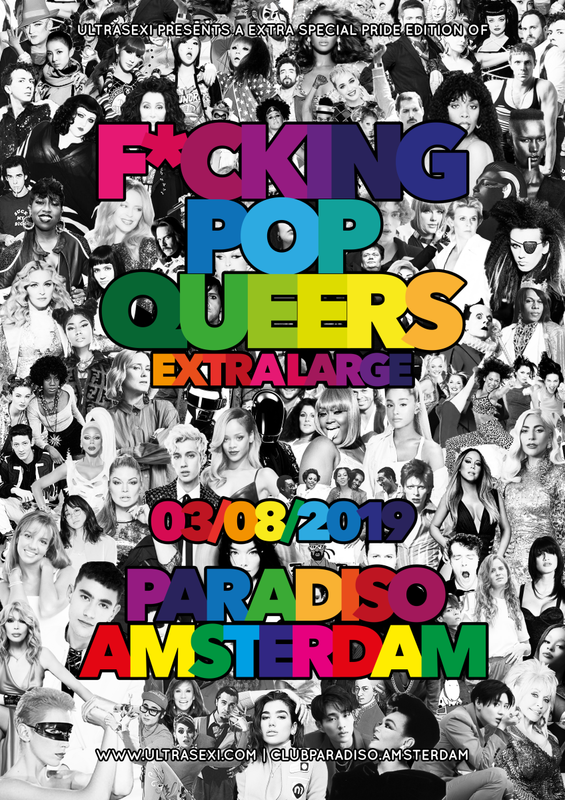 F*cking Pop Queers XL is the BIG brother of FPQ in the famous Amsterdam venue: Paradiso. Twice a year we organize a over the top edition of fun and crazyness. IS GOING TO RIO DE JANEIRO! Saturday the 5th of August 2017 at Paradiso Amsterdam. ⛺️ The final stop of the FPQ camping-tour, Rio de Janeiro! A tropical destination ideal to celebtate Gay Pride! ️‍ Three rooms filled with tropical and hot music! ✨ Let’s dance till the sun rises! Special performance by the FPQ tropical superstars & the birds of paradise! — Pre-sale tickets: €17,50 (+ reservation costs — online available) CLICK HERE! FPQ IS GOING TO THE CÔTE D’AZUR! The start of the FPQ camping tour, first up! Let’s travel to the most fashionable beaches of the southern parts of France. It’s time for a classy high fashion beach party at our favorite venue, Jimmy Woo!! Tropical Pop music all night long! IT’S POP! IT’S FUN! AND SOOOO GAY!! DJ’s: GLEN COCO, VALENTIJN DE HINGH & CONNIE KOMEN! €12,50 — 23.00 TILL LATE — DRESS FOR A HOT HAUTE COUTURE BEACH PARTY! There is no pre-sale, tickets are only available at the door. Let’s get in the mood for the festival weekend! Starting off with a night filled with brand new talent. Pop music all night long! Saturday the 6th of August 2016 at Paradiso Amsterdam. Three rooms of Extravaganza! Celebrating 10 years of FPQ! IS GOING TO HALLOWEEN IN HYPERSPACE! 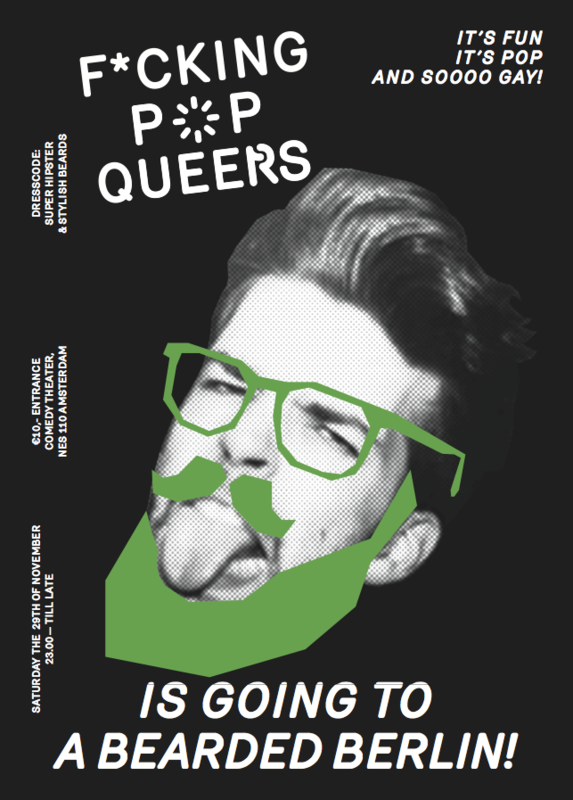 It’s Fun, It’s Pop and it’s sooo gay!!! 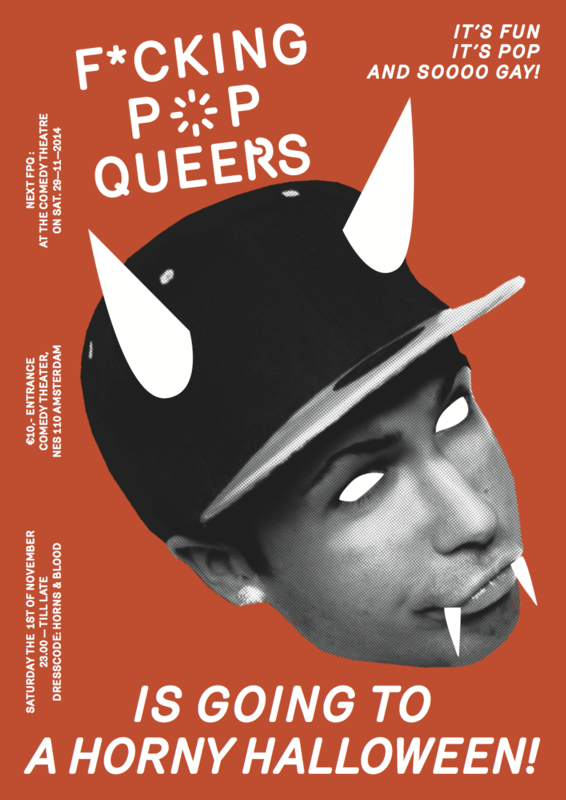 FPQXL is going to take you this Halloween into the misty and dangerous worlds of deep space. Be prepared for the next challenge! Do not fear the dark or unknown! Expect zero gravity, worm holes, abductions and extraterrestrial life!!!! DJ’S: MAYA POSTEPSKI, TRISH TRASH, RAVAGE!RAVAGE! 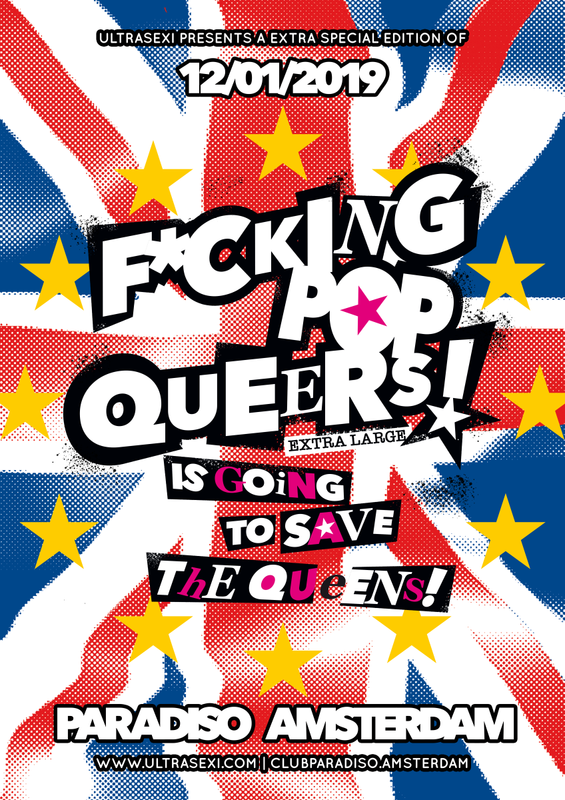 F*CKING POP QUEERS XL IS GOING TO AN ASIAN RAVE! RAVIN’ JAPANESE SCHOOLGIRLS, NEON NINJA’S, FLUOR GURU’S AND MUCHA MUCH MORE!!! Attention! Limited Fortune Tickets available (cheap tickets)! IS GOING TO THE MOKUMMER CARNAVAL! 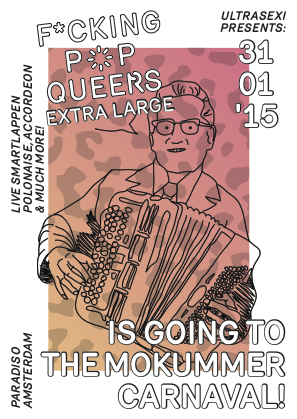 LIVE SMARTLAPPEN, POLONAISE, ACCORDEON & MUCH MORE! 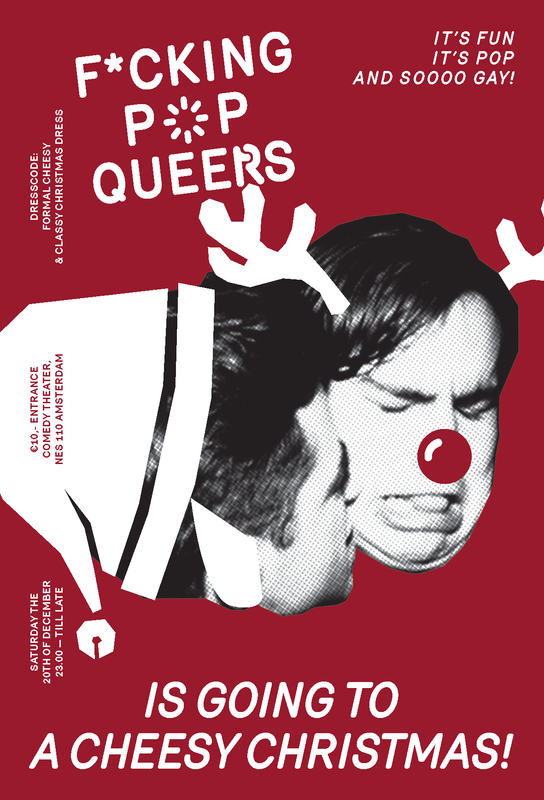 IS GOING TO A CHEESY CHRISTMAS! IS GOING TO A BEARDED BERLIN! IS GOING TO A HORNY HALLOWEEN!